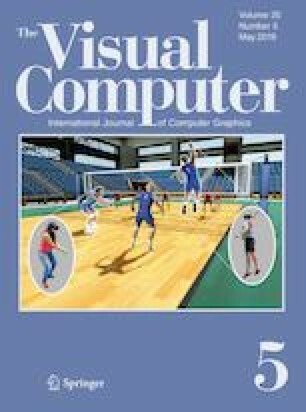 In this paper, a new level set formulation that can simultaneously segment and correct color images is proposed by combining the illumination and reflectance estimation (IRE) model, the level set method and the split Bregman method. The advantages of our model are mainly summarized in three aspects. First, our model can effectively extract the intensity change information in the images, regarded as the bias field. Based on the accurate segmentation results, our model can correct the inhomogeneous color images by removing the estimated bias field from the original images. Second, the application of the split Bregman method accelerates the iterative process and computational speed, making our model more efficient. Third, the use of the edge detection function in the energy functional makes it easier for our model to detect the target boundary. Perfectly absorbing the above three advantages, our model is applied to segment color medical and natural images with intensity inhomogeneity. Experimental results demonstrate that our model can accurately segment color images and get satisfactory correction images with intensity homogeneity. In addition, numerical comparison results further indicate that the performance of our model for segmentation and correction is significantly superior to the IRE model. This study was funded by Shenzhen Fundamental Research Plan (No. JCYJ20160505175141489).